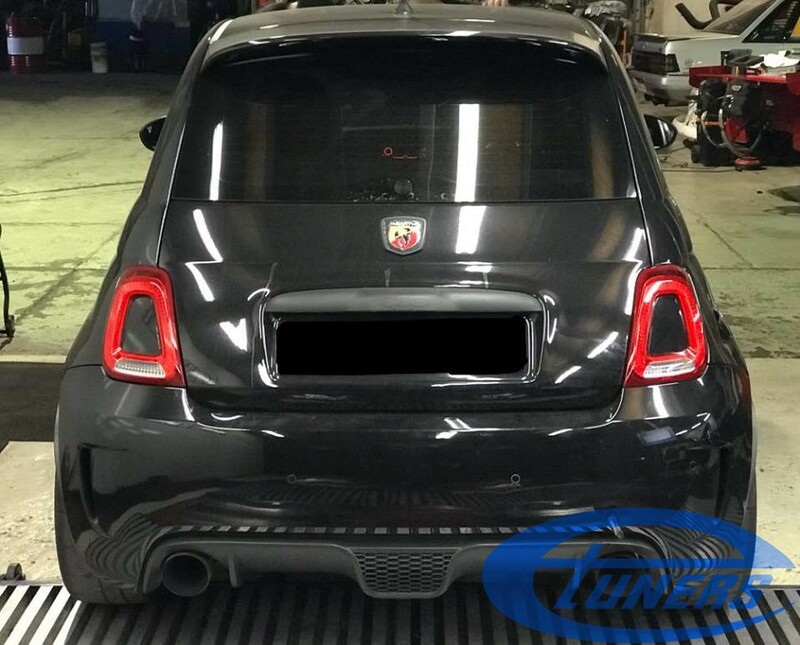 The Abarth was delivered with a TD04 turbo, installed on the stock engine. 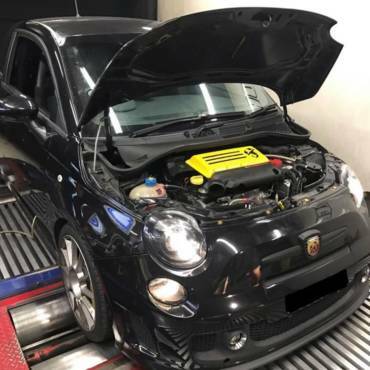 It also had an upgraded downpipe, cold air intake kit, larger intercooler and bigger injectors to make sure there was enough fuel for this big turbo! 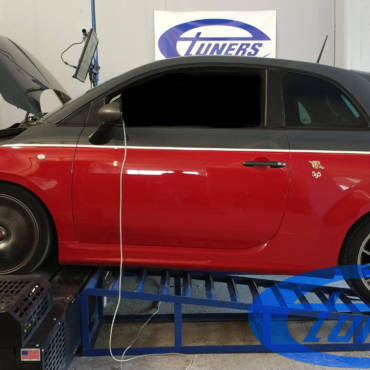 A custom #Etuners stage3 file was installed with boost peaking at 19psi. 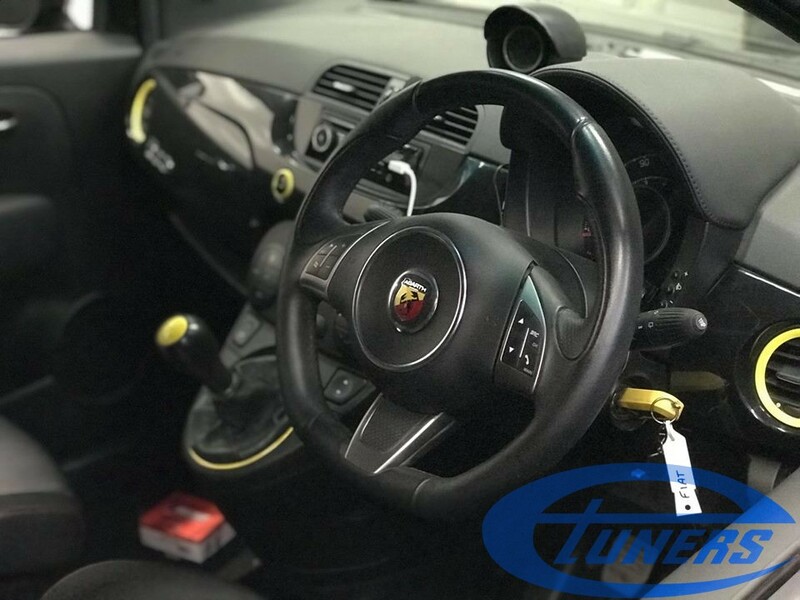 At that boost level, the stock pistons and rods can cope with the stress and the engine can work reliably. 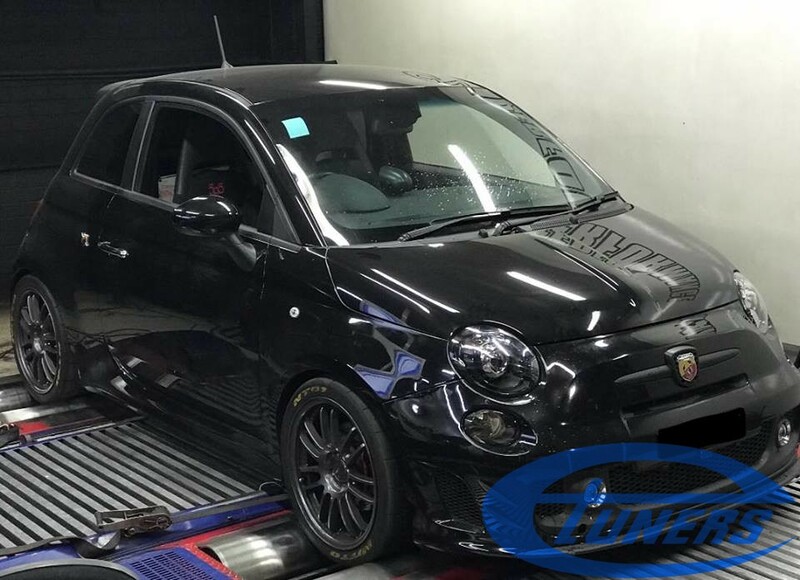 It produced 152kw/207hp at the wheels on our DynoDynamics rolling road. Given these cars weigh approx 1000kg, it will be very enjoyable on the track!